You and your pet deserve the best treatment available that's provided by a staff of dedicated veterinarians and technicians, all at an affordable cost. When you choose Brewster Veterinary Hospital to be your pet care partner, you can rest assured your pet is receiving veterinary care based on the most advanced medical protocols in the Cape Cod area. We believe the cornerstone of your pet's heath is a regular veterinary wellness exam that includes "nose-to-tail" examinations, dental examinations and cleanings, customized vaccinations and parasite prevention, and more. Identifying issues before they become serious is both the key to long-term good health and to keeping the lifetime cost of caring for your pet as low as possible. Vaccines are the best way to protect your pet against serious diseases and bacteria. While some vaccines prevent common infectious diseases, others protect against dangers present in a pet's lifestyle. At Brewster Veterinary Hospital, we vaccinate puppies for Distemper, Hepatitis, Parvo and Parainfluenza (DHPP) and Rabies. We vaccinate kittens for feline viral rhinotracheitis, for calicivirus infection and panleukopenia (referred to as FVRCP), as well as for Rabies. Brewster Veterinary Hospital provides non-core vaccines for your pet's complete well-being. Non-core vaccinations for dogs include Bordatella, Lyme, Lepto and Influenza. For cats, we offer the feline leukemia vaccination. Vaccinations are an important part of your pet's overall health care program. To better ensure the long term health of your pet, our staff wants to provide your companion with the maximum protection available. Let Brewster Veterinary Hospital share your joy in welcoming a puppy or kitten in your life by providing your new pet with support, guidance, and exceptional health care. Our puppy and kitten programs are designed to cover all the fundamental health care needs of your new pet during his or her early life stages. 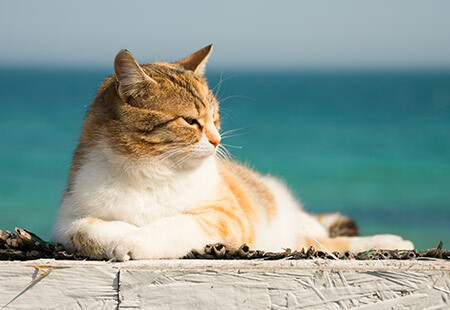 After welcoming your new pet to your family, the first item on your agenda should be a trip to Brewster Veterinary Hospital for a comprehensive physical examination by one of our Cape Cod veterinarians. The initial visit provides an opportunity for you, your pet and one of our doctors to meet and get acquainted. This time is well spent and offers you—the pet owner—a chance to ask questions. 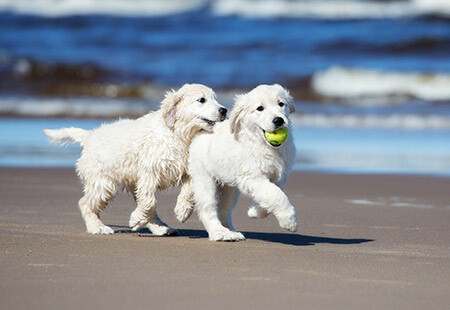 Our veterinarians also allay any concerns or anxieties you may have about owning a puppy or kitten. This is a special time for you and your pet and we want your memories to be cherished and worry-free. Just like health care for humans, veterinary medical care for pets is constantly evolving and advancing. 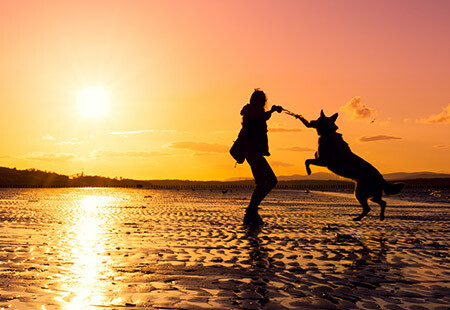 To help you navigate your way through the various stages of care necessary to keep your beloved companion healthy, Brewster Veterinary Hospital's doctors and staff provide comprehensive veterinary care at an affordable price. We also offer discounted pediatric laboratory packages for puppies and kittens. It is important to all of us at Brewster Veterinary Hospital that your new pet start off on the right paw and enjoy a healthy and happy life. Please contact us for more information at (508) 896-2540. Physical Examinations: Your puppy's or kitten's lifetime of wellness starts with its first comprehensive physical exam. Puppies and kittens should have 3-4 exams between the ages of 8-16 weeks. These visits are important because they provide our veterinarians with an opportunity to assess your pet's overall health and to administer vaccines. Diagnostic Testing: Puppies should be tested for heartworm. Kittens should be tested for feline leukemia and feline AIDS. Socialization: The doctors and staff at Brewster Veterinary Hospital recognize that well-socialized dogs live more peaceful, relaxed, and healthy lives. As they age, they are much less likely to behave fearfully or aggressively when faced with unfamiliar people, dogs and new experiences. Your senior pet has medical needs that are very different from puppies and kittens. The veterinarians and medical team at Brewster Veterinary Hospital will work with you to develop a health care plan that ensures your pet is safe and happy throughout his or her golden years. Preventive services are the key to keeping your older pets healthy. Symptoms of disease or a chronic condition may not be readily apparent. In some cases, conditions that look like the usual signs of old age could be signs of a more serious problem, such as arthritis, periodontal disease, kidney failure or cancer. We recommend all senior pets undergo at least one physical examination each year, though more frequent examinations are encouraged. During an examination, we perform tests that can detect the signs of heart disease, infection, diabetes and other health problems. We offer discounted senior laboratory packages up to 40 percent off. These packages include the physical exam and extremely comprehensive testing. We are often able to find conditions earlier when they are less costly and easier to treat. If your pet is experiencing any changes in behavior, we urge you to bring him or her in for a check-up. 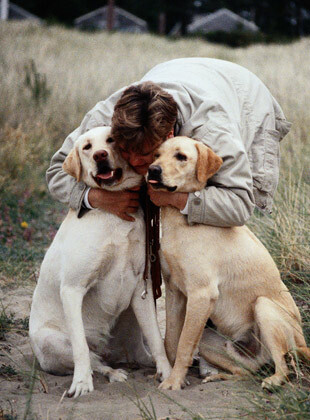 We can make sure you and your faithful companion enjoy many more years together. Parasites can be real pests. Both external (e.g. fleas, ticks) and internal (e.g. heartworm, hookworm, roundworm) parasites can cause problems for both your pet and your family. Prevention is the best approach to eliminating these pests. Please ask a staff member at (508) 896-2540 for the best way to prevent parasite problems. Heartworm disease is a serious, life-threatening disease transmitted by mosquitoes. It affects dogs and, to a lesser extent, cats. In the U.S., heartworm disease is most common along the Atlantic and Gulf coasts from the Gulf of Mexico to New Jersey and along the Mississippi River and its major tributaries. Cape Cod is one of these areas where heartworm disease is more common. 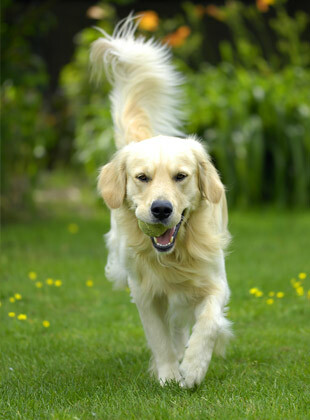 Heartworm disease prevention is simple and effective in the Brewster area. For dogs, a once-a-month heartworm preventive can be given as a chewable treat. This same chewable medicine prevents not only heartworms from developing, but also kills and prevents most other types of worms that can infect your dog. If you would like to have your pet tested for heartworm disease, or if you would like additional information on how best to protect your pet from this dangerous parasite, please call (508) 896-2540 today for an appointment. Fleas are not just a nuisance; they carry diseases that can be dangerous to both you and your pet. For example, fleas can transmit tapeworms to your pet, and often you can see segments of the tapeworm in your pet's stool. Your pet can also be allergic to fleas, and even just one flea bite can cause an intense allergic reaction, resulting in a severely painful skin infection. Ticks can carry a variety of serious illnesses, including Lyme disease and Rocky Mountain Spotted Fever in certain parts of the country. If you plan to travel to an area where these diseases are a problem, please talk to one of our veterinarians about the precautions you can take to protect your pet. The good news is that these problems can be avoided by using one of the safe and effective parasite prevention products that are available at Brewster Veterinary Hospital. Ask a member of our medical team to recommend a product that is right for your pet. Allergies are quite common in dogs of all breeds and backgrounds and are typically caused by fleas. Some other allergies your pet may develop can be the result of food or an inhaled irritant like dust or pollen. Most allergies appear after the pet is six months of age with the majority of affected dogs over age two. The most common symptom associated with allergies is itching of the skin, either localized or generalized. Other symptoms include respiratory distress (e.g. coughing, sneezing, and wheezing) or digestive problems that cause vomiting, flatulence, or diarrhea. If your pet exhibits any of these symptoms, please make an appointment to have him or her seen by one of our veterinarians at Brewster Veterinary Hospital. We will evaluate your pet, determine the most effective method of treatment, and explain how you can prevent future problems. If left untreated, allergic reactions and skin conditions can become serious medical concerns. When you bring your pet in to see us, we want you to feel confident your pet is receiving the best care possible. Ask us anything you want to know. The veterinarians and staff at Brewster Veterinary Hospital know that great veterinary care begins with taking the time to get to know your pet, talking with you and giving you all of the information you need to make the right decisions for your dog or cat. In addition, our commitment to you and your pet doesn't end when you leave our hospital. Our veterinarians and staff make sure you have the knowledge you need to provide the best possible care for your pet at home.